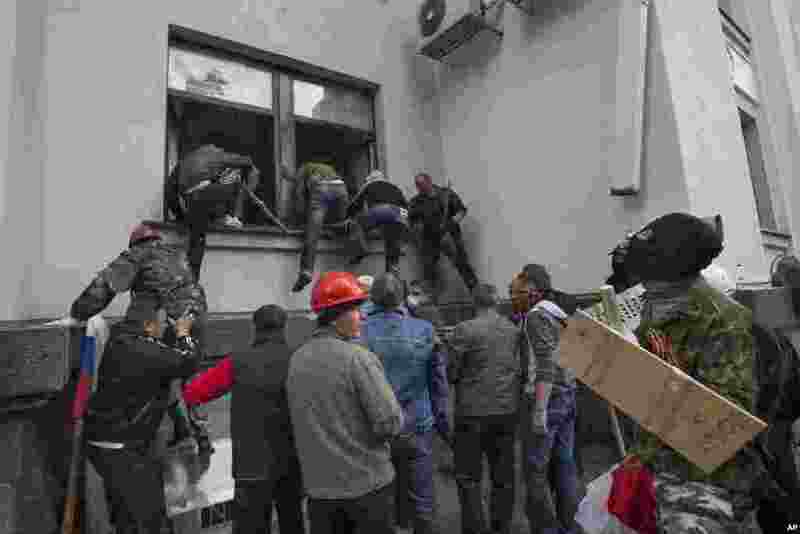 Pro-Russian activists storm an administration building in the center of Luhansk, Ukraine, further raising tensions in the east, where insurgents have seized control of police stations and other government buildings in at least 10 cities and towns. 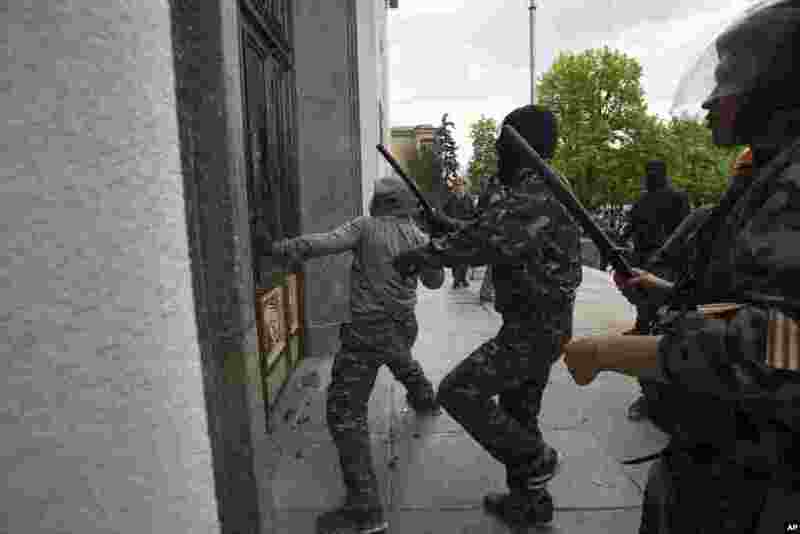 1 Pro-Russian activists storm an administration building in the center of Luhansk, Ukraine, one of the largest cities in Ukraine's troubled east, April 29, 2014. 2 Pro-Russian activists storm an administration building in the center of Luhansk, Ukraine, further raising tensions in the east, where insurgents have seized control of police stations and other government buildings in at least 10 cities and towns. 3 Pro-Russian activists storm an administration building in the center of Luhansk, Ukraine, April 29, 2014. 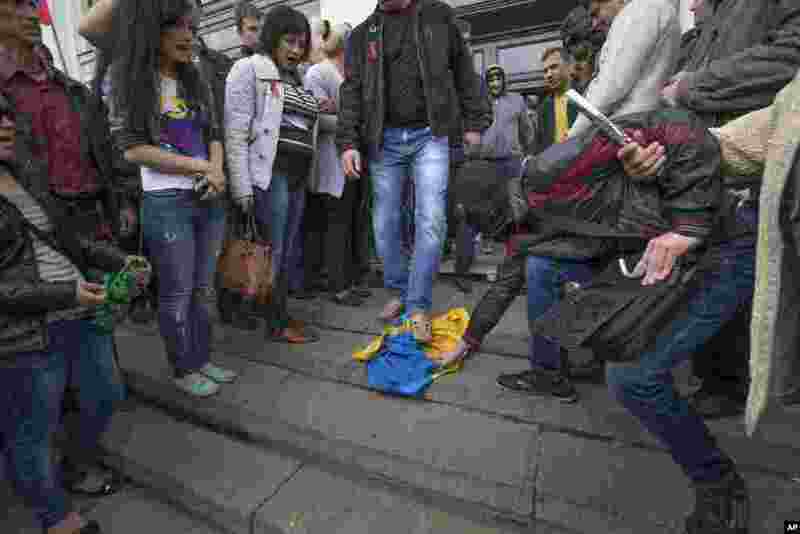 4 Pro-Russian activists trample a Ukraine flag as other celebrate the capture of an administration building in the center of Luhansk, Ukraine, April 29, 2014.